Pseudoscience consists of a body of knowledge presented as being derived from scientific experiments and methods while simultaneously failing to present evidence of its veracity. Belief in various pseudoscientific ideas has been widespread in different historical periods, and even in the present day. 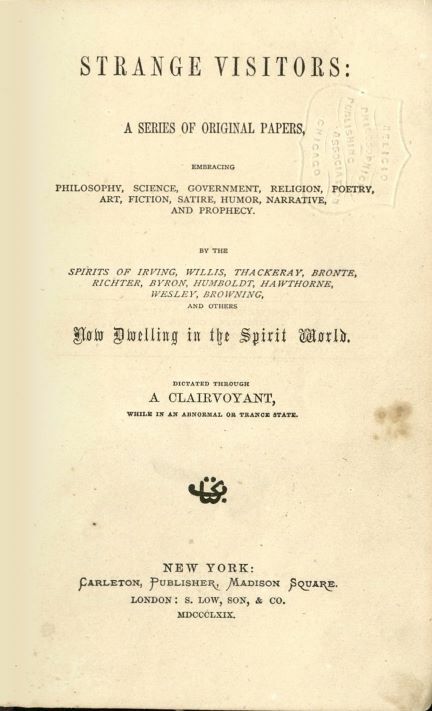 The 19th century in particular saw a flourishing of pseudoscientific ideas, including spiritualist ideas presented as science in the US and UK. 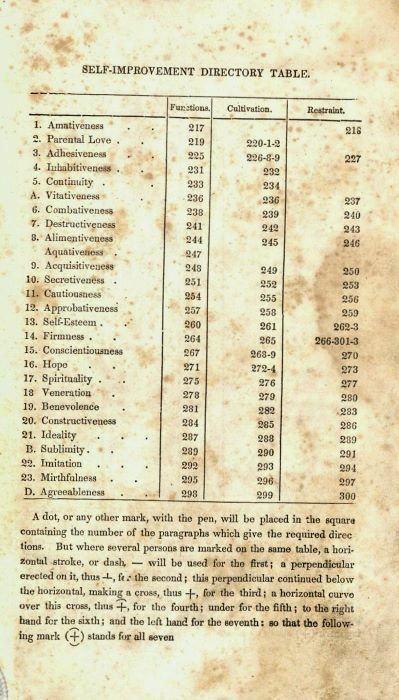 Though many of these ideas seem extreme and unbelievable today, 19th century proponents of these ideas left a record of their beliefs in books, magazines, and other publications, often presenting their "research" as valid and unbiased. 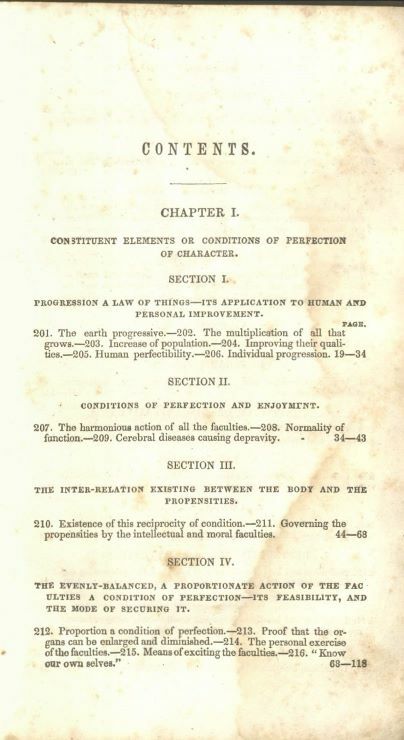 Phrenology was a popular pseudomedicine in the late 19th century that posited measurements and other characteristics of the human skull determined different aspects of a person’s actions and personality. Other beliefs presented as being scientific seem more fantastic or spiritual to us today, like telepathy, the transference of information between one person to another without interaction in the physical world, and the existence of spirit apparitions belonging to person(s) who are no longer living. In the 19th century, some believed they could prove the efficacy or existence of all three phenomenon through scientific research. 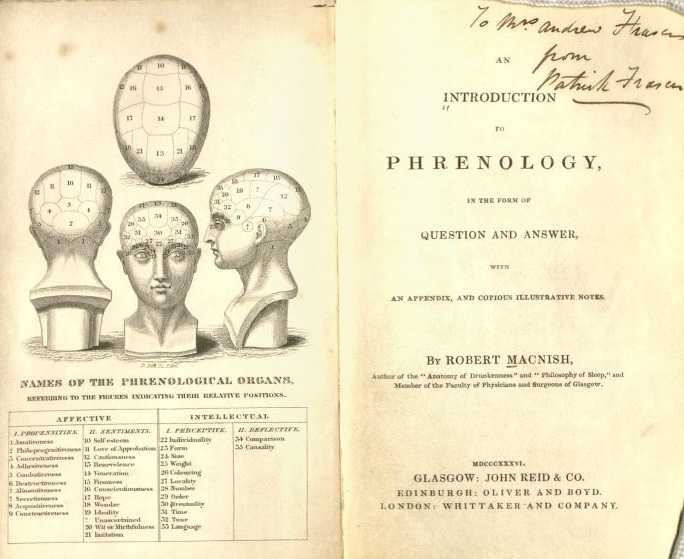 The idea of Phrenology, the capability of measuring the features of the skull to depict personality traits, resurfaced and became popular in the 19th century. 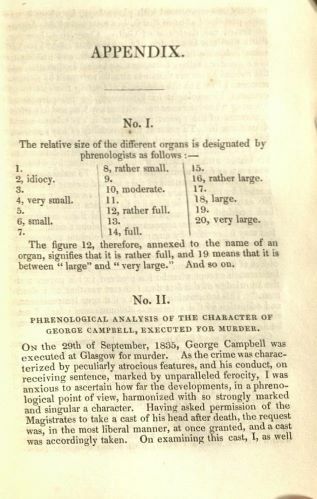 The appendix in An Introduction to Phrenology in the form of Question and Answer explains how the skull of George Campbell, a known murderer, serves of evidence that he would be a murderer, and determines various personality traits. 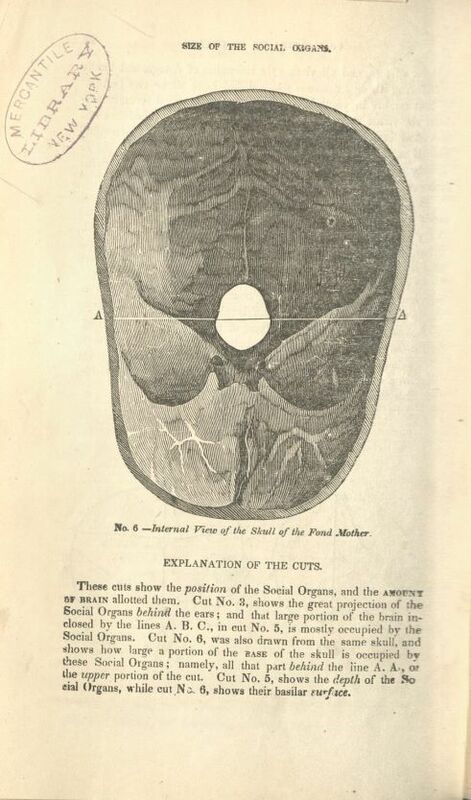 While the authors admit they did not measure the skull, a decision attributed to a desire to remove their bias, they sent it to another phrenologist to test. 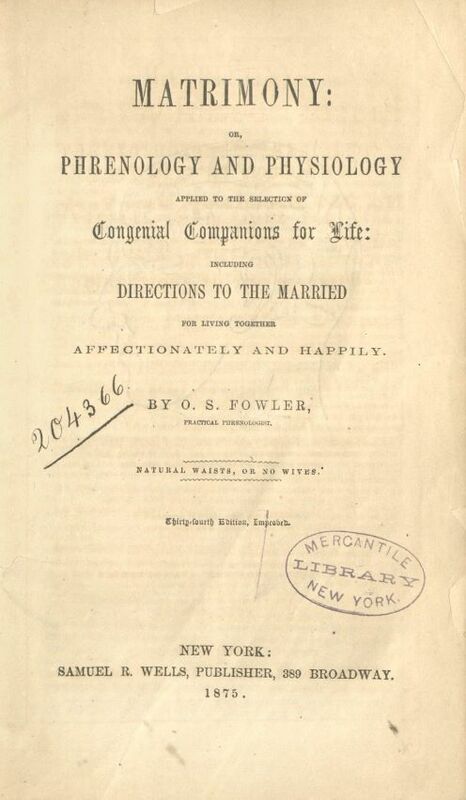 They describe the resulting measurements and analysis as the best phrenological evidence they have compiled to date. 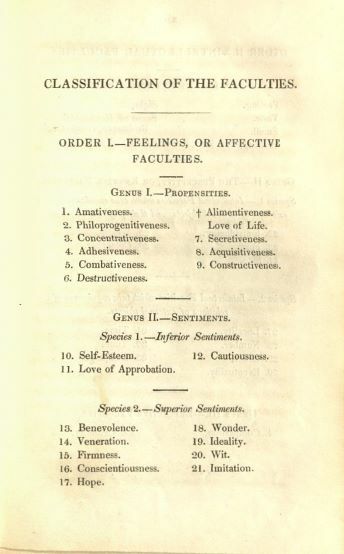 Self-Culture, also a book that draws on phrenology, explains each area or faculty of the skull. This book goes into great detail, including descriptions and in-depth explanations about where various faculties are located on the skull. 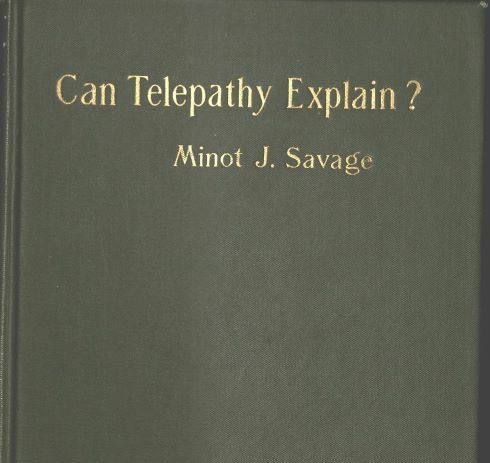 A spiritualst belief often presented as scientifically-based during the 19th century was thought transference, or telepathy. 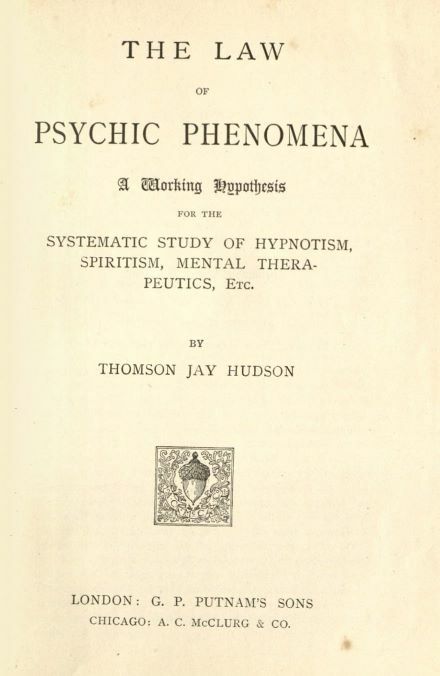 The author of The Law of Psychic Phenomena states "[t]he best possible condition for the conveyance of therapeutic suggestions from the healer to the patient is attained when both are in a state of natural sleep…" Perhaps unsurprisingly, the author claims he cannot disclose any individuals who have been cured via thought transferance because "the cures have been effected without any knowledge on the part of the patients that they were being made the subjects of experiment." 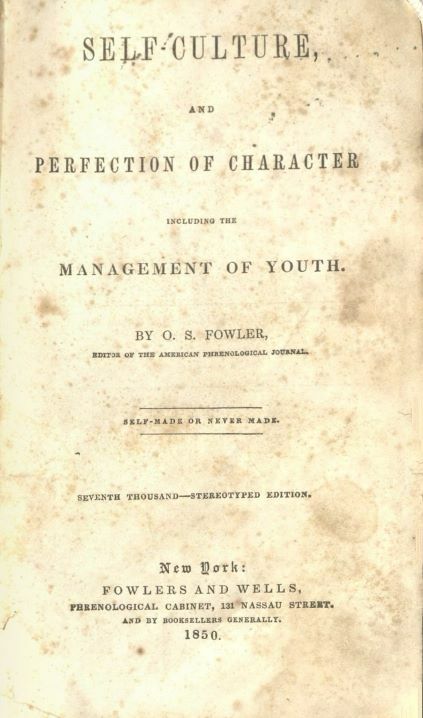 The author later states that "[a]fter the lapse of a few months, one of the persons intrusted with the secret met the invalid, and learned, to her surprise and delight, that he was comparatively well." The author states that "no one ever saw, felt, tasted, or smelled an atom. It is beyond the reach of the senses, nor is it at all probably that science or skill will ever be able to furnish instrumental aids capable of enabling man to take cognizance of the ultimate unit of matter. It exists for man only in hypothesis." 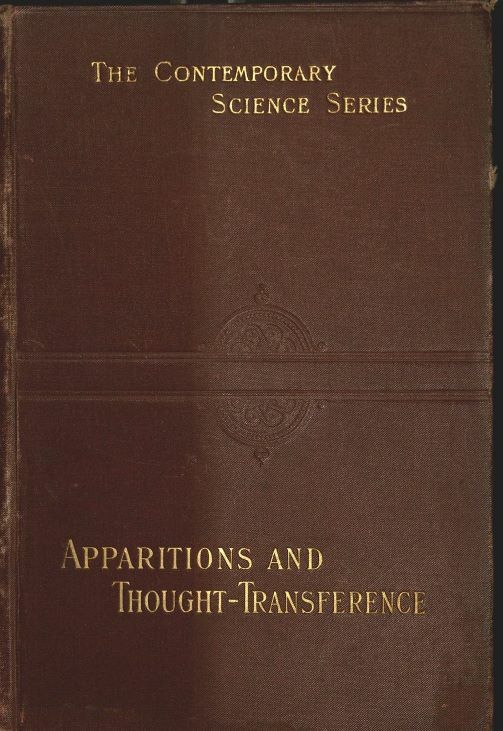 Another work, Apparitions and Thought-Transference, part of "The Contemporary Science Series," also discusses telepathy, but focuses on experiments purporting to show movement of physical objects as a result of psychic action, and stories of apparitions. The author concludes by stating the experiments conducted were not conclusive, and that more must be done to understand these theories beter. Can Telepathy Explain? and Strange Visitors include experiments claiming to test whether stories of spirits transferring information to living people are true. Can Telepathy Explain? discusses the development of a research program and scientifically valid study, arguing that without formal research the topic could not be taken seriously. Strange Visitors includes various stories about paranormal entities interacting with living people. The author states that people constantly adopt and challenge new ideas and belief systems, ever seeking answers.